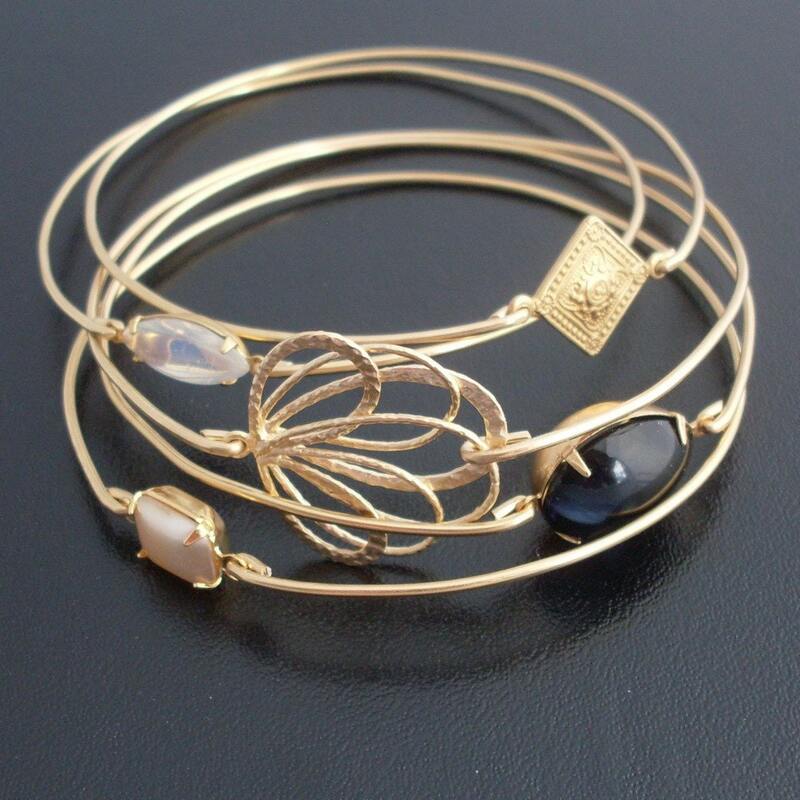 Before the Dawn - Stacking Bangle Bracelet Set - This listing is for the full set of 5 stacking bangle bracelets. 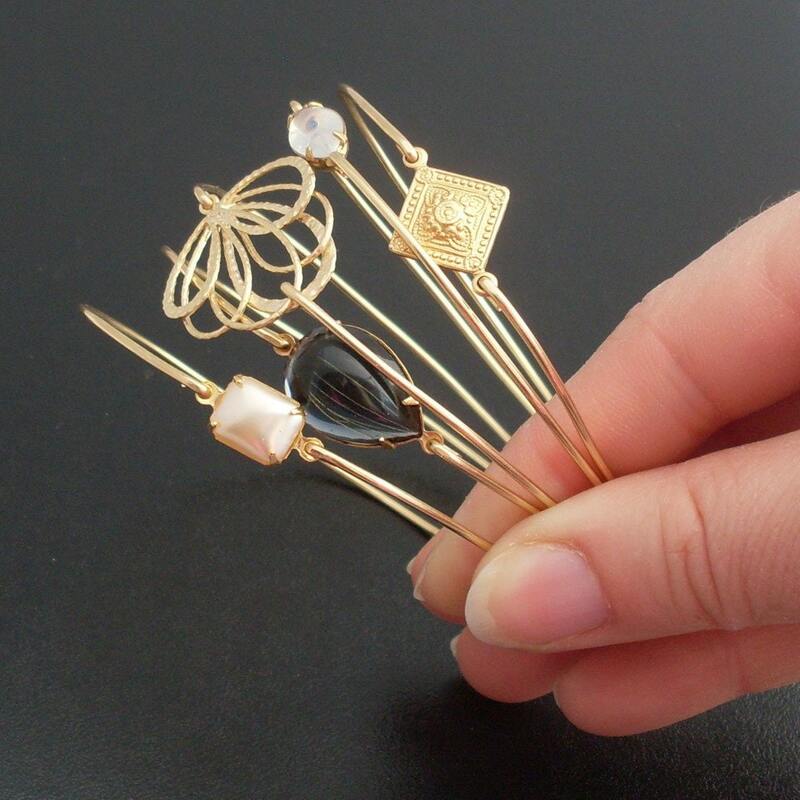 It includes one bangle with a gold plated filigree, one bangle with a gold tone brass diamond shaped centerpiece, one bangle with a black smooth glass drop, one bangle with a rectangular cream simulated pearl, and one bangle with a smooth white quartz stone. 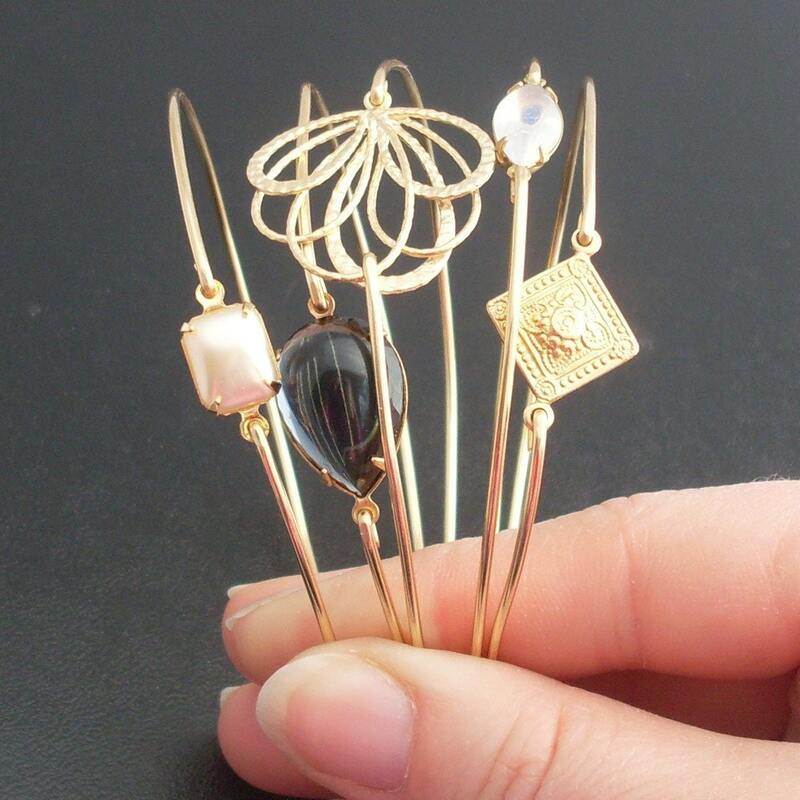 All are paired with a dainty & delicate brass bangle band. 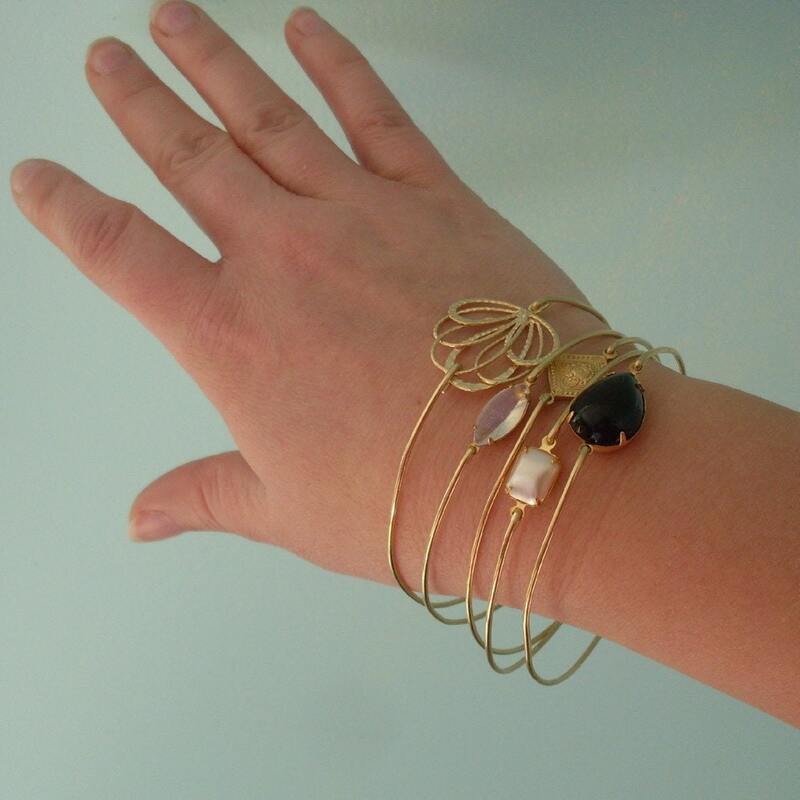 I can also make this bangle set with slightly heavier 14k gold filled bangles. If you want this option for your bracelet set, select from options when ordering. Personalize your stacking bangle bracelet set with custom initial charms to create a customized charm bracelet. 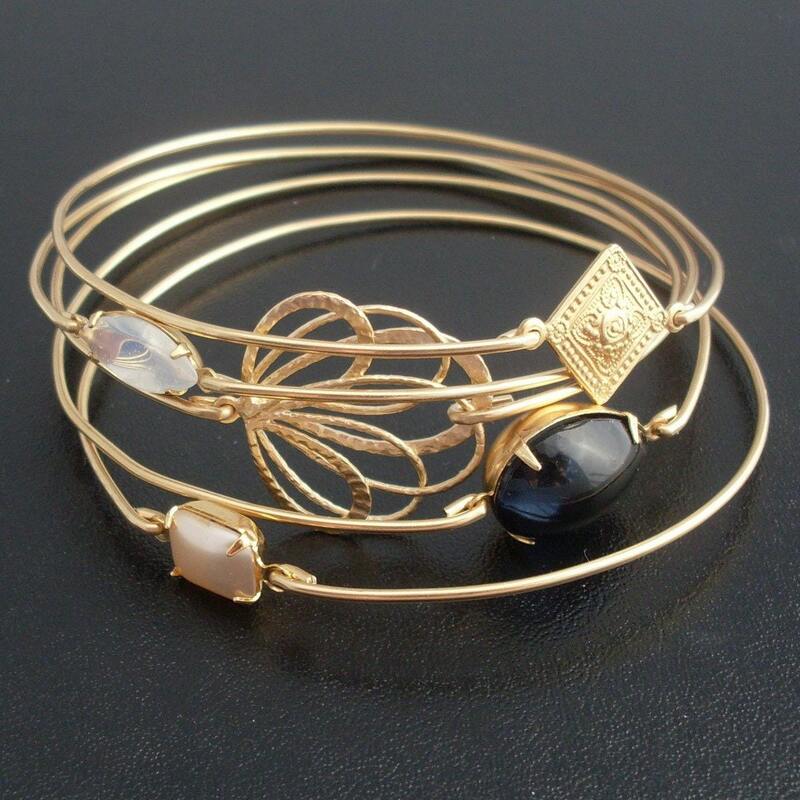 This bracelet bangle set created and hand crafted with great care and love for you and yours. All of my items are special handmade creations that are original Frosted Willow designs.